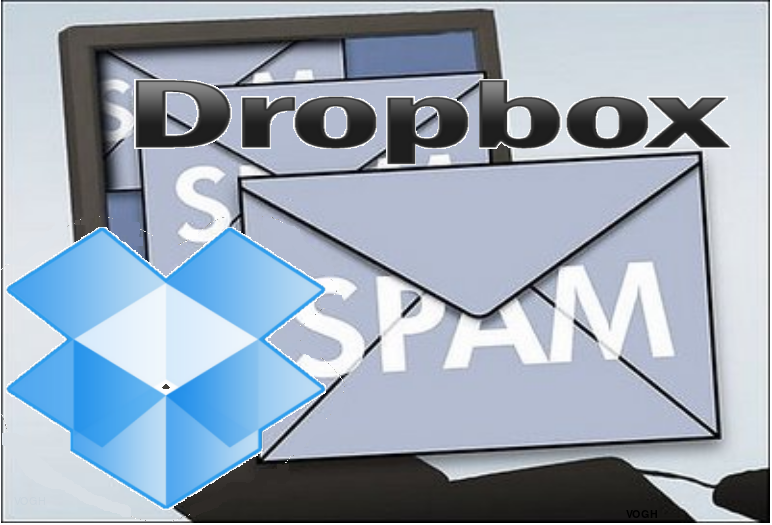 One of the very popular file hosting service Dropbox which offers cloud storage & file synchronization have fallen victim to cyber criminals. A large numbers of Dropbox users have reported receiving spam mails to their e-mail address. So far the spammer is using different pieces of German-language spam at an email address used solely to register with Dropbox. Yesterday, a Dropbox user named David.P first reported on the Dropbox forum that he received a spam message to an email account that he used exclusively for Dropbox and no other service. Since then, various users in Germany, the Netherlands and United Kingdom reported receiving junk email touting online gambling sites. Similar reports can also be found on the Dropbox forums. In almost all cases, the spam is for suspicious-looking online casinos. Much of the spam appears to have been sent to users with their own domains who created a custom email address such as dropbox@domain.tld to register for the Dropbox file-sharing service. This would suggest that the spammers may simply have been lucky. According to forum discussions, however, emails have also been received by people who have not used this easily guessable address format. Immediately after this incident get spotted the announced that it has asked its security team to investigate the incident, and has also called in outside experts. At present, it has found no evidence of unauthorized access to Dropbox accounts, but this could change as the investigation moves forward. The company has reassured users that a recent thirty minute web site outage had nothing to do with this incident.